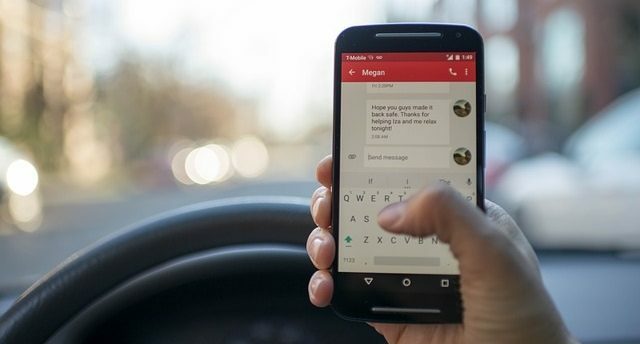 Researchers at the University of Waterloo in Ontario, Canada, are developing an artificial intelligence (AI) system that may finally be able to stop texting while driving. Texting while driving is among unsafe distracted driving practices that caused countless deaths globally each year. In the U.S. alone, 3,477 people died and another 391,000 were injured in 2015 because of distracted driving, the National Highway Traffic Safety Administration (NHTSA) reports; teens were the largest age group reported as distracted at the time of fatal crashes. Yet, despite the dangers of texting while driving, an alarming number of drivers in the U.S., especially teen and younger drivers, continue to text and drive. During daylight hours, approximately 660,000 drivers are using cell phones while driving, which creates an enormous potential for deaths and injuries, the administration said. It’s important to note that these distracted driving statistics also include other unsafe practices such as speaking on cellphones and eating while driving, in addition to texting. How Can AI Stop Texting While Driving? The Canadian researchers have developed a system that uses cameras and AI to detect hand movements that don’t align with normal driving behavior, then it grades the movements in terms of the level of safety threats they present. The technology uses computer algorithms that were trained to recognize actions like texting, talking on a cell phone, or reaching into the backseat. The system could not only issue a warning to the driver when they are doing something that is dangerous, but might even be able to take control of the car on a short-term basis to prevent an accident if there is “imminent danger,” said professor Fakhri Karray in a press release. He is the University Research Chair and director of the Centre for Pattern Analysis and Machine Intelligence (CPAMI) at Waterloo. “It has a huge impact on society,” said Karray, citing estimates that distracted drivers are to blame for up to 75 percent of all traffic accidents worldwide. If you’ve been injured in a motor vehicle accident, Marrick Medical can help you get the treatment you need. We provide medical funding for uninsured and underinsured accident victims. Our patients seek the critical treatment they need free from fear of high interest rates, debt collectors, and negative credit reporting. Our vast network of healthcare providers allows personal injury patients to prioritize healing and recovery. For more information, please contact us today.